This paper introduces the principle of vacuum freeze-drying technology and its application in food processing. At the same time, it elaborates four freeze-drying technologies combined with it, and summarizes the advantages and needs of improvement in freeze-drying technology. Finally, it analyzes The status and prospects of vacuum freeze drying technology at home and abroad. China is a big country in agricultural production and food processing. Drying and processing of post-harvest food and agricultural products can compensate for the loss of up to 30% of grain and agricultural products after delivery due to bottlenecks in transportation and processing technology, which is of great economic significance. Microwave drying machine. 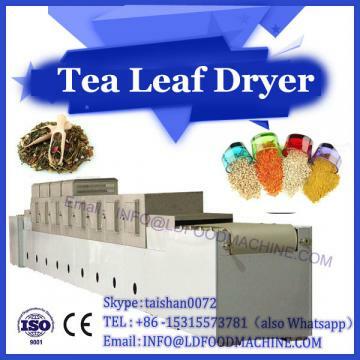 Among the methods of preserving food, drying treatment is a very efficient method, which can extend the shelf life of dehydrated products. 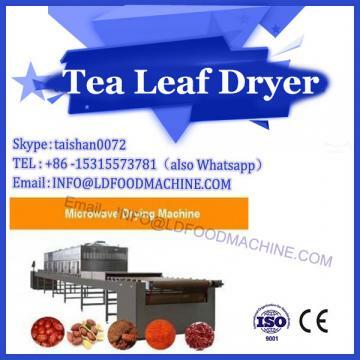 For high-value foods, the traditional hot air drying process is far from satisfactory in terms of processing efficiency and drying quality. Therefore, atmospheric freeze-drying technology was first proposed by Meryman , indicating that the freeze-drying of materials is determined by the temperature of the ice and the change of steam pressure between the water vapor formation position and the drying medium, so the adsorbent can be used instead of the vacuum pump, but The drying cycle is too long. Uninterrupted heat supply and steam removal are two basic conditions for maintaining sublimation drying without interruption. The negative pressure of the vacuum pump is applied during the freezing process to continuously remove the steam. Initially, the material itself has a higher temperature, and the latent heat required for the sublimation process can be taken from the material having a higher temperature, but in the absence of external heating, once the temperature of the material falls to equilibrium with the vapor partial pressure of the drying chamber The temperature, sublimation and drying will stop. Under the condition of external heating, if the steam generated by sublimation cannot be eliminated in time, the temperature of the material will increase with the increase of the partial pressure of steam. When the temperature rises to the freezing point of the material, the ice crystals in the material can be melted. Causes freeze drying to stop. Sublimation drying is essentially a process of simultaneous heat transfer and mass transfer, that is, the heat transfer process is to supply heat, and the mass transfer process is to exclude steam. There is a driving force in nature to drive any process that occurs. The temperature difference between the sublimation interface is the heat transfer driving force, and the vapor partial pressure difference between the sublimation interface and the steam trap (or cold trap) is the mass transfer driving force. 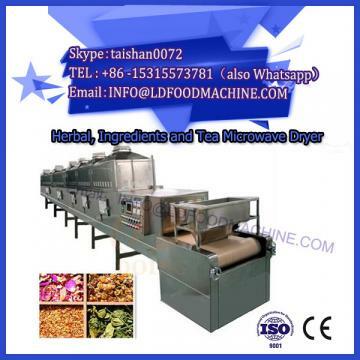 Therefore, the heat transfer rate increases as the temperature difference increases; the mass transfer (ie, steam removal) rate increases as the vapor partial pressure difference increases. At the same time maintaining the excellent quality of the product and the faster drying rate are the basic requirements in the freeze-drying process. First, the heat source on the surface of the dried material must be completed by an external heat transfer process. Then, the actual occurrence of sublimation in the material is completed by an internal heat transfer process. The water vapor generated in the process must pass through the internal mass transfer process to the surface of the material, and then transferred to the steam trap (cold trap) through the external mass transfer process. Any process in the sublimation drying process or problems occurring in several processes may make the entire drying process impossible. It is determined by the design of the freeze drying equipment, the operating conditions and the characteristics of the material being dried. Therefore, in order to obtain a more efficient drying rate, it is necessary to simultaneously improve heat transfer efficiency, mass transfer efficiency, and increase the surface area per unit volume of lyophilized material.